With black hammock inspired netting this cargo interior net will look right in place in the back of your Toyota Highlander. For easy Toyota Highlander cargo net interior installation all hardware and installation instructions are provided. You will enjoy the benefits of having this Toyota Highlander cargo interior net. 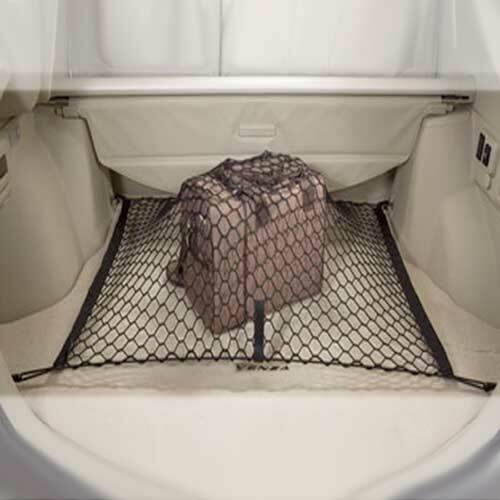 This interior cargo net for your Toyota Highlander is easy to use and very practical for items you want to keep secure.